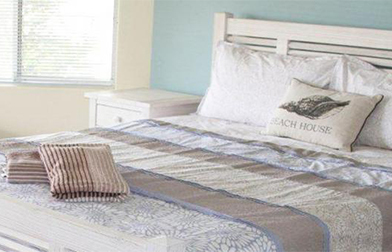 Great family home holiday let, located in the lovely beach-side suburb of Mindarie, Perth. This property features internet, air conditioning as well as a large sparkling swimming pool. With 4 Bedrooms and 2 bathrooms, Castaway can accommodate up to 8 adults comfortably. Mindarie has it's own Marina, with various restaurants. The Home Features - Master Bedroom with Queen bed and en-suite bathroom with bath and shower - Bedroom 2 and 3 with Queen beds - Bedroom 4 with double bed - Rear Family Lounge with TV and DVD player - FREE super fast WIFI Internet - Ducted Evaporative Air Conditioning throughout - TV lounge at front of home - Double Garage with automatic door - Alfresco with cane alfresco furniture to relax with family and friends - Large 10Metre below ground sparkling swimming pool for your enjoyment.